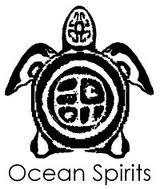 Ocean Spirits is a locally based Non-profit, NGO that has been dedicated since 1997 to the conservation of marine life and the marine environment in Grenada. Ocean Spirits works to conserve Grenada’s critically endangered sea turtle stocks and habitats through education, research and community development. Most of our work is focused on the sea turtles, and it is through this species that we are able to raise a wider awareness of the environment. We believe that through working with local communities to discover sustainable alternatives the future of Grenada’s turtle populations may be secured. We are the country coordinator for the Wider Caribbean Sea Turtle Conservation Network (WIDECAST).